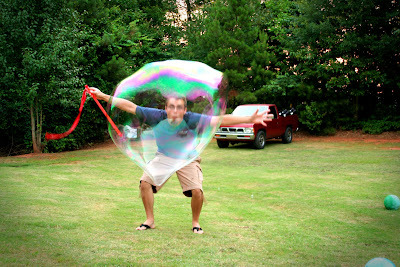 (pink) elephant in my pocket: holy moly guacamole! 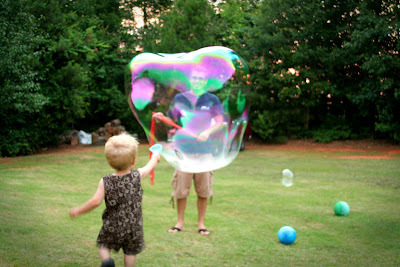 last night Pirate and hubby had a tremendous time making gi-normous bubbles, and being eaten by mosquitos. 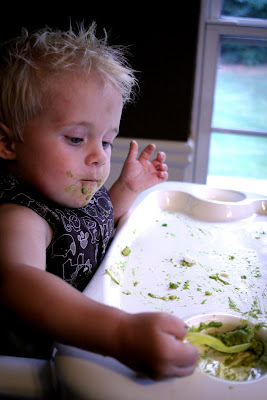 and baby Pirate had a fabulous time eating his guacamole (which he calls "moly moly", the same phrasing he uses to copy mom & dad's "holy moly"). 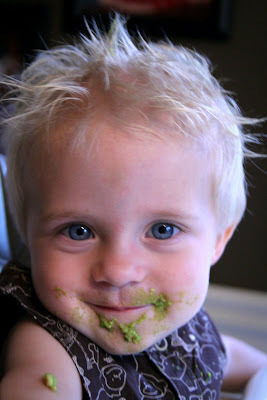 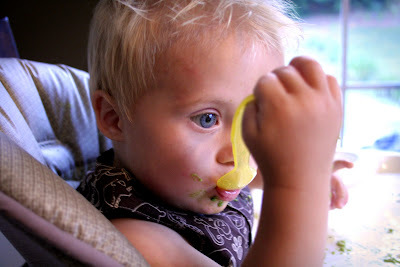 i am THRILLED that he loves avocados - one of the few healthy things he wants to eat.